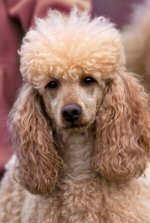 Poodle grooming instructions usually include the correct ways to check the poodle's ears, eyes and teeth for signs or injury, decay or disease. Catching disease early can correct problems before they become major. 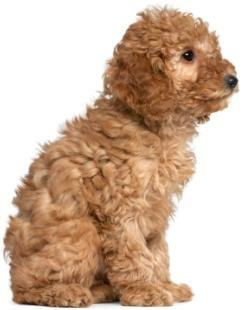 The eyes, ears and teeth should be checked once a month when you bath or groom your poodle. Check your pet's eyes regularly to be sure they are bright not red, cloudy or tearing excessively. If they are, call your vet. To clean the eyes, wet a cotton ball, soft cloth or tissue and gently wipe the corner of each eye. Avoid eye drops. Her ears should be odor free and clean. Take a dry or slightly moist cotton ball and wipe out the ears. Mites and ticks can hide in the ear so check them frequently. If there is excess wax, use doggie ear cleaner and a cotton ball to clean it. 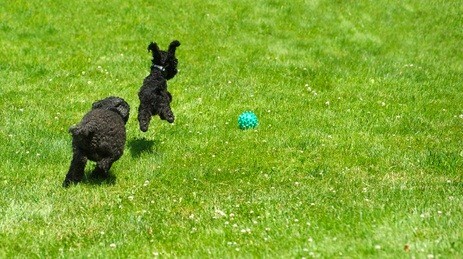 Poodles have hair in their ears, check with your vet on whether this hair needs to be removed. Opinions differ as to remove it or leave it alone, so find out what your vet recommends. If your pet is pawing at her eyes or shaking her head, check them for signs of mites or an infection. If in doubt, you can check with your vet. When looking at her teeth, you want to check for gum inflammation, excessive drooling, tartar, mouth sores, foreign objects and bad breath. Tartar buildup can cause gum abscesses which can lead to serious health problems for your dog. Give your vet a call if you notice any of these or if she has trouble chewing hard food. Brush her teeth with her doggie brush and toothpaste 2 or 3 times a week. Don't use human toothpaste. The flouride can be dangerous to dogs. Ask your vet if your pet needs professional teeth cleaning and what the schedule should be. Standard poodle grooming, toy poodle grooming, mini grooming and poodle grooming instructions all include monthly ear, eye, teeth and gum checks. Being proactive when it comes to your poodle's health can help prevent minor diseases from turning into serious illnesses. Your pet can't speak for himself, so check him on a monthly basis to keep him healthy and live a long life with you.